The Samoa Cancer Society (S.C.S) has raised concerns about plans to establish the Hope 4 Cancer Clinic, offering alternative cancer cure. The Society is so concerned it has written to the government through the Ministry of Health to express their fears. The Society’s Executive Officer, Shelley Burich, told the Sunday Samoan that a letter highlighting the issues has been submitted to the Minister of Health, Tuitama Dr. Talalelei Tuitama. “To them (Hope 4 Cancer) it’s holistic treatment,” Mrs. Burich said. “But to us, it’s alternative, it’s not holistic. Yes it’s great that there is an alternative treatment available but to say that there is no chemotherapy and radiotherapy available that is our concern. Last month, the Hope for Cancer Group, led by founder and Medical Director, Dr. Antonio Jimenez, met with government officials. 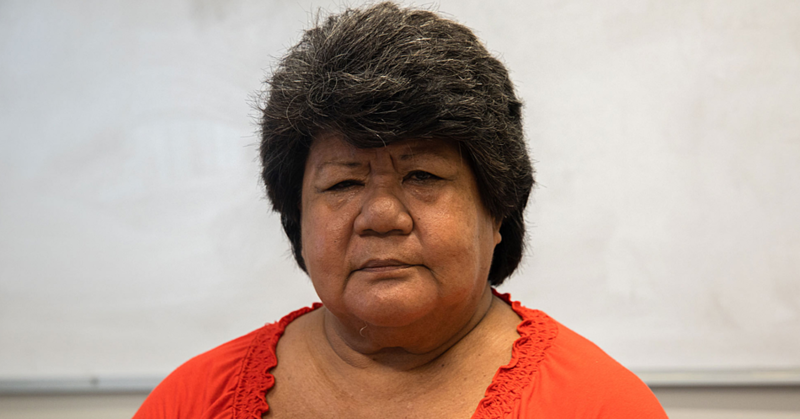 Established in 2000 in South America, the group promised to treat Samoan cancer patients locally as well as draw “medical tourists” from the world. According Dr. Jimenez, the Institute’s focus is to heal disease and improve their patients’ quality of life. He said the institute hopes to provide effective and safe alternative healing treatments to cancer patients who may not wish to undergo treatment through conventional medicine. So far, the government has approved the use of $4.5million S.L.C headquarters at Tuana’imato for the Clinic. Attempts to obtain a comment from the Minister of Health, Tuitama Dr. Leao Tuitama, were not successful. But Mrs. Burich is calling for caution. “What we want to say to the government is if they want to offer alternative treatment, then it’s okay. But don’t do away the Overseas Medical Treatment (O.V.T),” she said. “They won’t be doing chemo or radio. With the supplements they will be using I don’t know about that. We don’t know what is in it. Mrs. Burich said the patients would be the ones affected the most, especially if they are not sent overseas for the required treatment. In the 2015 – 2016 budget, from the $79.3million allocated for Health, $2.5million was provided to cover the cost of O.V.T. For this financial year 2016 – 2017, the health sector got $86.6million with $5million allocated of the scheme. According to Mrs. Burich, about five adults and five children are sent overseas for cancer treatment. Breaking down the cost for each patient, one treatment is estimated at NZ$30,000. While there are specialist teams that visit from time to time, Mrs. Burich said it always been their focus to train local doctors and nurses to deal with cancer patients. The difficulty has always been identifying that “champion” who has the passion and drive to take on the responsibility. Mrs. Burich added she is aware of those talks about the scheme being unsuccessful because “the patients come back and die anyway. The focus should be on people with stage 1, 2 or 3 cancer. She added that the focus should be placed on early detection of cancer educating people of the symptoms. Symptoms can range from children being easily bruised, pale and white dot in their eye. “They may not be cancer (for some cases) but it could be linked to other diseases,” said Mrs. Burich. 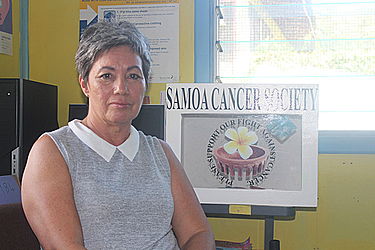 One of the obstacles faced by the Samoa Cancer Society in conducting their awareness programmes amongst other activities is funding. The Society gets $40,000 every year from the government to cover the wages of their support officer. At the moment, there are only two staff members running the office. Mrs. Burich is one of them. The other is the Support Officer. The Society has been without an Outreach Officer for some time now after the previous employee migrated overseas last year. To run the office at full capacity S.C.S. requires about $220,000 a year to do outreach programmes and get the ball rolling. Part of the problem is aid foundations not continuing their support for Samoa Cancer Society. “It has been challenging this year and last year because a lot of aid foundations and aid agencies have changed their focus,” said Mrs. Burich. Mrs. Burich also emphasised the important role of the society giving a voice for the patients. She sees themselves as a government advocate. She added their doors are always open for patients and people who want to talk. The highest cancer in Samoa is still breast cancer. According to a pie chart from the S.C.S. for patients statistics from 2014 to half of 2015, about 60percent of 79 patients referred to them have breast cancer. “I can say that it’s increasing (number of cancer patients),” said Mrs. Burich.